An article published in the journal, Immunity & Aging, suggests that the leukotriene receptor antagonist, Montelukast, rejuvenates aged brains in rats. The authors of the article question whether the commonly used, systemic, anti-asthmatic medicine has a similar effect in humans. They approached the issue by doing statistical analyses based on the Norwegian Prescription Database. The database lists all prescription-based medications in Norway, but not drugs given to people who are in hospitals or nursing homes. The question asked was whether users of Montelukast compared with users of inhalation asthma medicine, live longer, and are less likely to develop dementia. They pointed out that a small, non-significant protective effect on the use of dementia medicine became significant when adjusting for other prescriptions (based on the notion that montelukast users on average are less healthy). “The present results suggest that Montelukast may alleviate the cognitive decline associated with human aging,” they said, adding that further data, preferably based on controlled clinical trials, are required. IntelGenx (OTCQX:IGXT; TSXV:IGX) is working to repurpose Montelukast as a therapeutic to treat degenerative brain diseases, such as such as mild cognitive impairment, alzheimers disease and dementia, by re-formulating the FDA-approved asthma drug into an oral film-based platform with improved bioavailability. Currently, Montelukast is marketed as Singulair, a once daily tablet for the chronic treatment of asthma and seasonal allergic rhinitis, which suffers from poor and inconsistent bioavailability. IntelGenx' proprietary VersaFilm technology offers several advantages over tablets, including the avoidance and minimization of first-pass-effects, improved API bioavailability, lower dosing and toxicity, easier swallowing and better patience compliance. 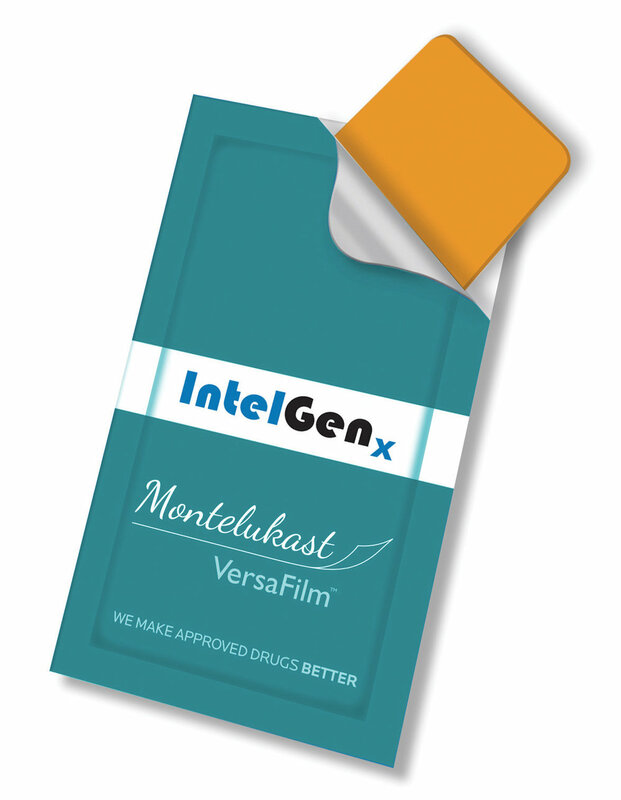 In a recent Phase I study, IntelGenx demonstrated that an oral film formulation of Montelukast is safe and tolerable in healthy subjects, reduces the first-pass-effect and has a 52% higher bioavailability compared to the regular Montelukast tablet. IntelGenx’ oral film also crossed the blood-brain barrier, an essential feature for treating degenerative brain diseases. IntelGenx is now preparing a Phase II trial to demonstrate efficacy of its Montelukast VersaFilm to improve cognitive function in mild to moderate Alzheimer's Disease.